Prepare your ears to adjust to sudden changes in style and mood as we move from earthy Northern Indian ragas to West African ritualistic beats and from fresh Slavic soul to American folk gone wrong. 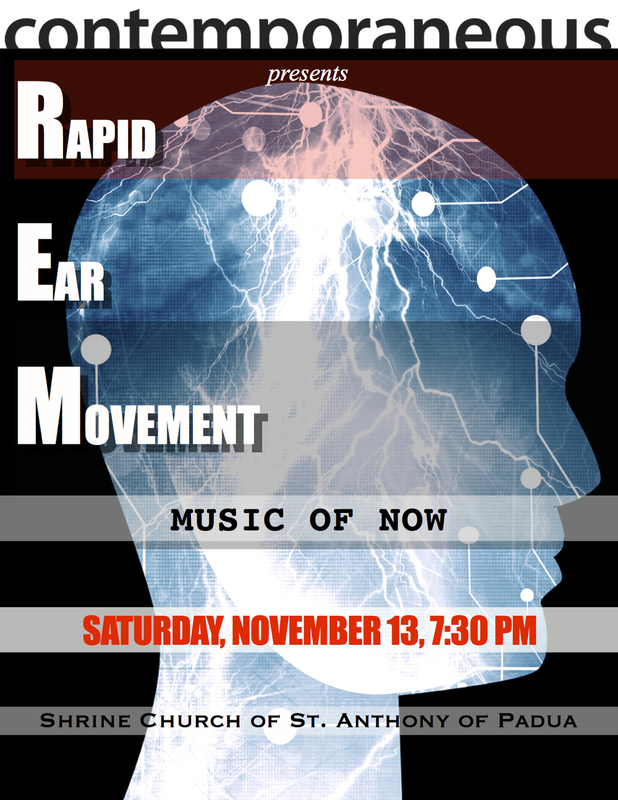 Featuring five young composers from around the country and the world, R.E.M is a program of music on a mission. Each of these pieces has such a strong message that it grabs you by the ear in its own particular way to convey what it has to offer. The third work to be commissioned by Contemporaneous, founding Co-Artistic Director Dylan Mattingly's "Lighthouse (Refugee Music by a Pacific Expatriate)" is a unique and riveting take on American folk music in his ode to the Pacific ocean in a down-to-Earth yet intricately sophisticated package. Still Life with Avalance is a dolefully moving work by young and widely acclaimed New York composer Missy Mazzoli and is followed by an intense, rock-inspired piece by Lainie Fefferman. The driving Central-African pulses of California composer Ryan Brown's Big Dig close the first half. Dazzling guest soloist Cameron O'Connor, joins us for Czech composer Lukáš Oljeník’s pathos-filled concerto for guitar and chamber orchestra, a work Contemporaneous premiered in September. Inspired by a ravenous parasite he contracted while studying music in Northern India, Brendan Faegre contributes a big, brash work for chamber orchestra that celebrates the power of human will over whatever stone the world has to hurl.